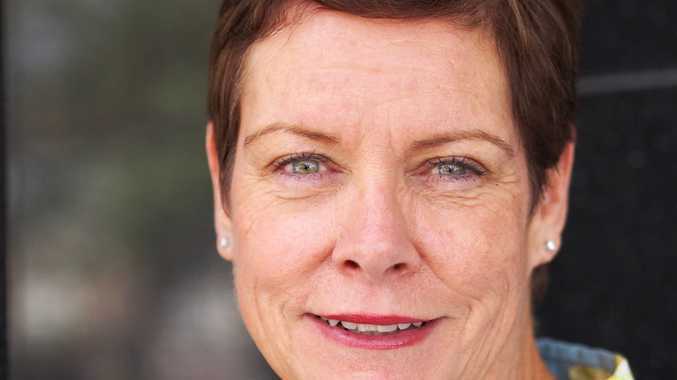 THE CEO of Southern Queensland Country Tourism has announced she will depart the role in 2019. SQCT chair Jane Summers said Mary-Clare Power, who has been the chief executive for several years, would leave the organisation at the end of her contract in June. Ms Power told the board she wanted to explore opportunities away from Toowoomba. It comes amid months of speculation that the government-funded body and its private counterpart, Tourism Darling Downs, would merge as part of a new tourism arrangement. TDD's previous CEO Ruth Wetmore left at the end of last year. Dr Summers thanked Ms Power for her work in the position, which was one of the most powerful tourism roles in south-west Queensland. Tourism initiative to showcase best experiences: Tourism and Events Queensland chief executive Mary-Clare Power and Jondaryan Woolshed general manger Lisa Raklander look to promote the region with the Best of Queensland Experiences marketing initiative. "The board is disappointed by Mary-Clare's decision but grateful for her enormous contribution. Under her stewardship, our region has enjoyed an 18% boost in visitation from 1.7 million tourists to 2 million per year, far exceeding SQCT's 2020 business plan of a 5% year on year growth," she said. "We now have product sold in international markets such as New Zealand and Korea and the organisation is now represented at the Australian Tourism Exchange. "Mary-Clare has also worked tirelessly at grass roots level with members to help them effectively market their product to SEQ drive markets. "Experienced, committed and driven - we will greatly miss Mary-Clare's energy and dedication and wish her every success with her future endeavours." Ms Power said she had relished the challenge of working with local operators and predicted ongoing success for the region. "I came for two years and stayed for seven because the energy and optimism of its operators is infectious," she said. "I have genuinely enjoyed my time at SQCT and believe our RTO has made a real difference to tourism operators, but it's now time for me to live and work closer to loved ones."